Growing organically from its warm minimal set in the cozy downstairs theatre at Belvoir, The Sweetest Thing is a sad and funny story about the intersection between love and family. 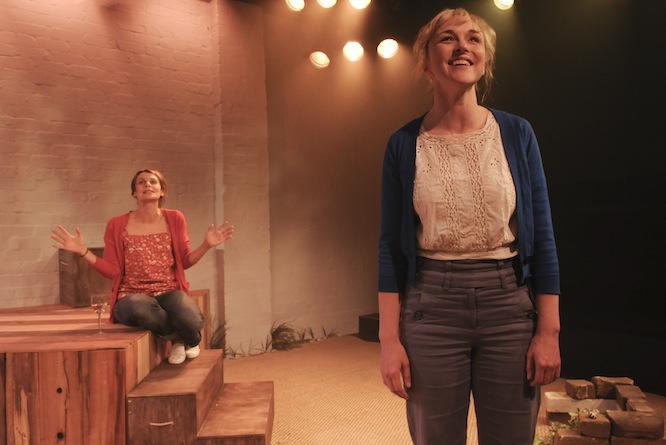 Playwright Verity Laughton weaves a complex tale that focuses on the emotional journey of its characters very strongly thanks to being relieved of the burden of chronology. Despite a dynamic plot arc and potentially confusing time changes, the story of Sarah, played by the wonderful Diana Glenn shines through with excellent clarity.